SAILING MLJET ISLAND - CROATIA - Croatia Travel Co. 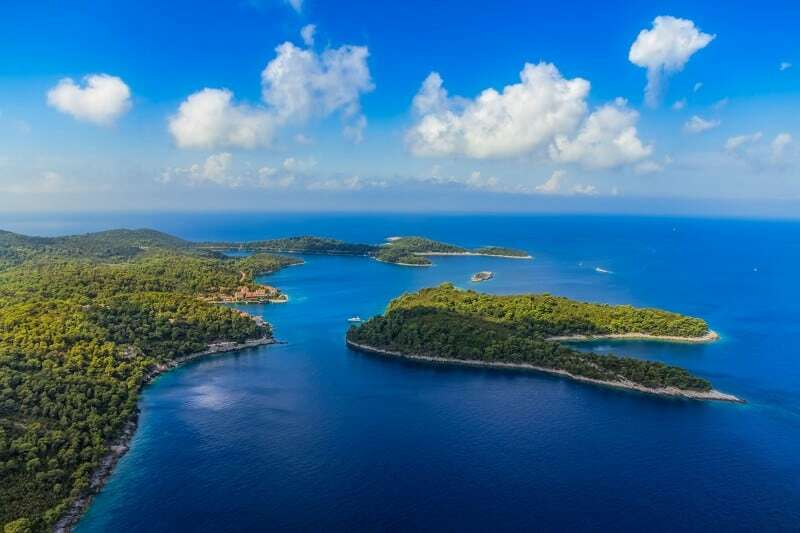 Simply put, Mljet Island is 100 square kilometres of unspoiled dreamy gorgeousness. It is the southernmost island of the South Dalmatian chain of islands and a favourite stop for many who sail this part of the Adriatic. Despite its lack of service facilities (it has no marina and only one hotel), or perhaps because of it, Mljet has a magic and timeless quality. Swimming in verdant bays and looking over inland salt-lakes will bring contentment, especially if you’re on your way back from a busy place such as Hvar or Dubrovnik, which is just 25 kilometres away. The entire north-west part of the island has been a designated National Park since 1960 and is densely forested, as is the most of the island – deemed to be the greenest in the Adriatic. Mljet’s two distinctive salt lakes, Veliko and Malo jezero are within the reserve and are well worth the trip and a climb, for this is the screen-saver view that will get you through the next winter. Pomena Bay (apart from being the site of Odisej Hotel, the only one on the island), has other advantages: it is a very safe anchorage, even for those less experienced at sailing, and it sits just 15 min. walk from Malo jezero lake. A tiny nearby island Pomeštak is a naturist beach. Mljet’s coastal belt is particularly well-indented, which makes it a treasure throve for those lucky enough to visit from direction of the sea. 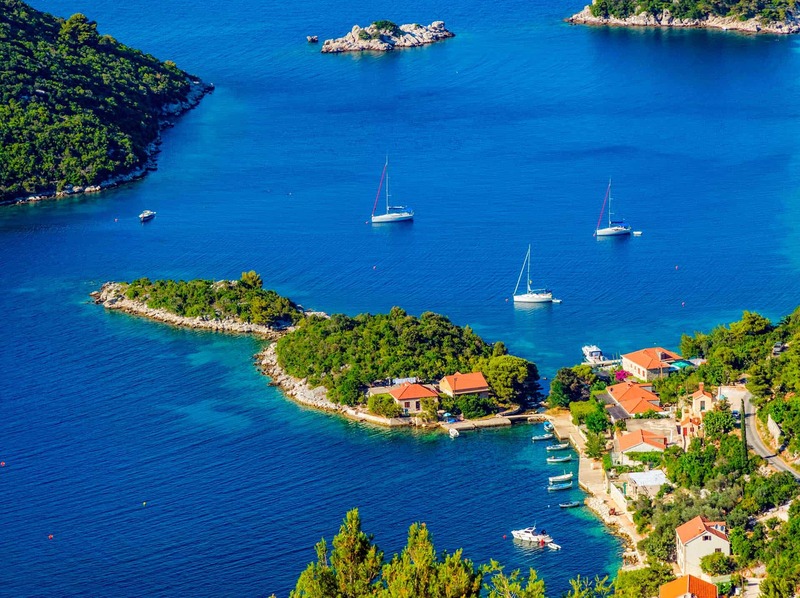 Apart from Pomena, Polače and Lastovo Bay (not to be confused with Lastovo Island) are both deservedly popular destinations. Most water-front restaurants have anchorages, or you can sit you boat pretty in the middle of bay and take a dinghy to the island. And if you’re in need of some unique Mediterranean culture, visit Goveđari – a small inland village, not far from Polače Bay. It’s gallery Stara skula is a site of much of the island’s culture and social life, with regular open-air cinema screenings and various art and literary events throughout the summer. In spring it organises wild foraging workshops and with Mljet’s balmy climate, it is a perfect place to visit all year round. At its southernmost point is another gem – Saplunara Beach, where a survival reality show was once filmed. You can see why – the expanse of sandy beach and snorkel-heaven reefs take you as far from your daily life as you want to be. A word of warning though, unlike the rest of the island Saplunara has sparse vegetation, get there early for some natural shade or bring your family pack of sunscreen. Partner & Designer at Croatia Travel Co.